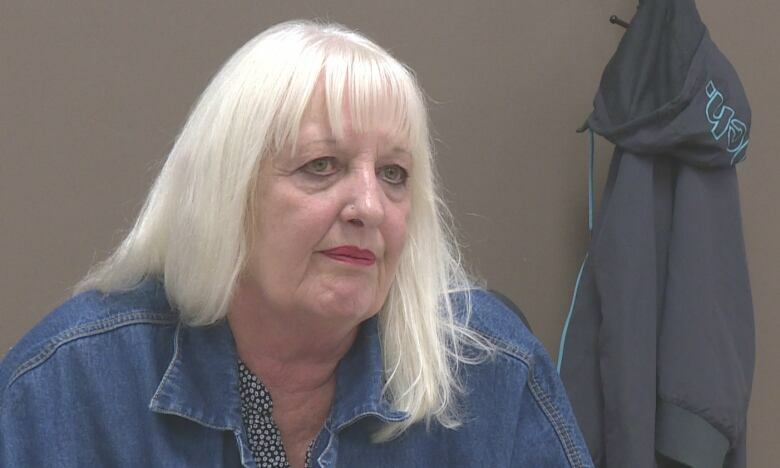 A Regina senior who became homeless last month after Service Canada stopped paying a monthly benefit is highlighting the difficulties of getting by month-to-month on government assistance money. On Friday afternoon Jillian Le Drew was sitting with friends at Carmichael Outreach in housing limbo. The 71-year-old has been living in a hotel, relying on Carmichael and Mobile Crisis to help keep her off the streets. Le Drew said at her lowest point, she thought about committing suicide. But, the help she's received from friends and community agencies, as well as her faith in a higher power has made her optimistic about the future. "It's been like climbing Mount Everest, but I've always been able to believe that the valley is going to be on the other side and it's going to be easier." Le Drew was evicted from her Regina apartment at the end of August after failing to pay her rent on time. It all stems from a setback at the end of July when she stopped receiving a monthly payment from Service Canada. When she noticed her bank balance wasn't as full as it should be, she tried to contact the agency. After five days of trying to get hold of someone, she learned that she had failed to sign a new tax form that was required to keep the payments going. Le Drew said she hadn't ever received the form. "I said here you've gone and cut me off without proper notification or anything," she said. "This is Canada, this is supposed to be a democracy, what is going on?" CBC News reached out to Service Canada, but they said they couldn't provide a comment without a signed waiver from Le Drew. The agency added that they do "everything they can to assist those in need." Without the $600 allowance from Service Canada, Le Drew was unable to pay her rent on time. Service Canada sent her a new form which she scrambled to fill out and return, but was told it could be six weeks to three months before she could be approved. "Part of that was my widow's pension. I qualify for that — and I want my money. I deserve that money," said Le Drew. As she waited for the money to be reinstated, Le Drew's apartment rental company wasn't sympathetic to her cause and said if she didn't pay rent, plus a $50 late fee, she would be evicted in two weeks. That became a reality on August 29. 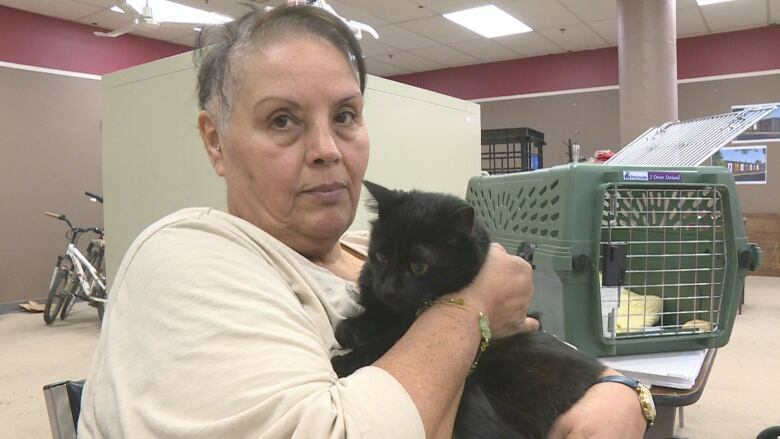 She said she scrambled to get all of her possessions into storage and then emotionally steeled herself to the fact that she and her cat, aptly-named Courage, might have to spend the night living on the street. Compounding the problem was the fact that Le Drew relies on insulin injections to treat her diabetes and struggles to walk. Luckily, Mobile Crisis helped get her a room at the Quality Hotel in Regina. As of Friday afternoon, Le Drew had moved out of the hotel and was set to meet with a landlord who might have a place for her. Doreen Lloyd, housing coordinator for Carmichael Outreach, said Le Drew's story is fairly common. "We get called a number of times from people [saying] our cheques are on hold, or they're having trouble keeping up with their rents and they're facing evictions." Lloyd said Le Drew wasn't even the only homeless senior that she has dealt with so far this month. She said she encourages anyone in a similar situation to call Carmichael for help. The organization is also in the process of trying to get the provincial government to appoint a seniors' advocate.